President Rodrigo Duterte on Friday, June 2, expressed confidence that government forces will win in its fight against extremists in Marawi. The President made the pronouncement as he visited the 102nd Infantry Brigade in Zamboanga Sibugay. “Dito naman sa extremism, mananalo tayo. But we will have losses, ganon lang talaga ang buhay. That is how life is governed in this universe,” Duterte said in his speech. “Pero sabihin mo matalo tayo, imposible ‘yan. It will just take a longer period,” he said. The Chief Executive also said that soldiers will be protected and will have more modern military aircraft, sea vessels and equipment during his time. “Kung buhayin pa ako ng Panginoon Diyos, you will have about 24 jet planes. Mag-acquire pa ako ng 12. Subukan ko,” Duterte said, adding that instead of secondhand vessels, he will acquire brand new ones. “You have a new building sa AFP Medical — MRI, baric to fight ‘yang infection. You have all the equipment now and you will have the best of everything,” he added. Duterte likewise assured support for children of soldiers particularly on their education. “I have already a part of the funds that will guarantee na ‘yung anak ninyo, edukasyon will continue even if you are somewhere,” the President said, noting that he already has an initial 20 billion of the 50 billion trust fund for the education of the troops’ children. “If I can have a 50 billion trust fund para lang sa edukasyon ng mga anak ninyo, even if you fight or you are somewhere else in this universe, sagot na ang edukasyon lang ha, sagot na ang edukasyon. So wala kayong problema. I have already the 20 of the 50 billion. 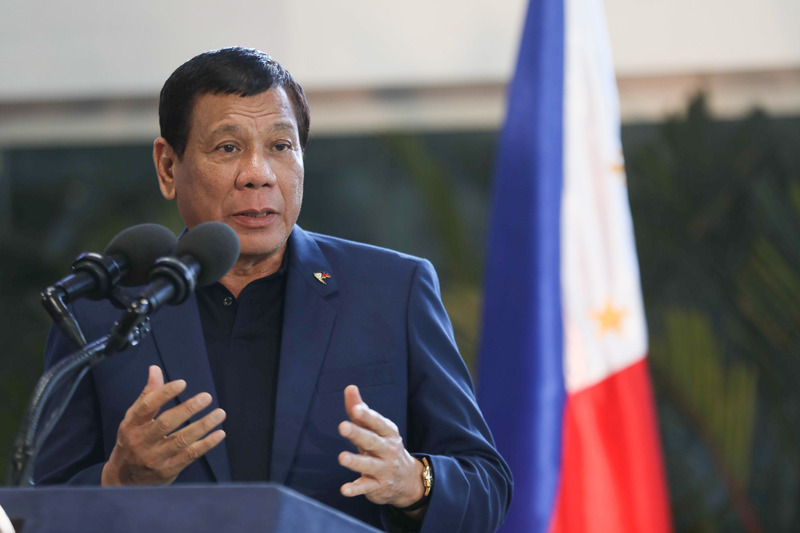 Maski interes na ‘yan,” Duterte said. The President also appealed to the soldiers to stay loyal to the flag and to the Constitution. “I am not appealing for a personal loyalty. Hindi ko type ‘yung ganon. I just want you to fight for the Republic and maintain your loyalty to the Constitution. Period,” he said. “During my time, as your President, I can give you only the inspiration and the protection that you would need. And I will attend to your needs and during my time, you will have the best,” he assured.